When Burnley beat Middlesbrough 2-1 in the third round of the FA Cup three weeks ago, to give us our first win in the competition for five years, I was asked who I wanted in the fourth round. The easiest potential home game was my response. I did dare to suggest Newport but to be honest a home draw against such as Colchester, Shrewsbury or Carlisle would have been acceptable, with no disrespect to any of those clubs. The easiest at home? No, we got potentially the most difficult tie of the lot, a visit to the Emirates to face Arsenal, the third time we’ve met in the FA Cup in the last eight seasons. There was a time a few years ago when I hoped for an away tie against them but that was almost a decade ago before they moved from Highbury to the Emirates. I used to love going to Highbury with its marble halls and commissionaires making it stand out from other grounds, but we haven’t played there since 1975. All hopes of a cup tie there, giving me one last visit, were left unanswered but after over thirty years of not playing them, tomorrow will be our fourth visit to the Emirates. I’m not too sure what to expect other than, as the title of this preview suggests, a tough cup tie. On getting home from that win at Middlesbrough I watched Match of the Day and saw them play some wonderful football against Sunderland. When they play like that they certainly make it very difficult for any opponent. I might have preferred a different opponent but Andre Gray doesn’t share my view. “It’s a massive game and it’s the kind of draw we wanted,” he said. “We wanted one of the big four and for me personally it’s great to test yourselves against the best players. He added: “I’m sure the boys that came down last year want to be back there week in week out in those kind of stadiums so it’s easy to get up for it. Most of my boys and myself grew up supporting Arsenal and I’ve fizzled out a bit since turning professional. It’s different, but from a kid I’ve always been an Arsenal fan. I know what he means about glory hunting. Wasn’t that what I did when I started watching Burnley in 1960? We were the best team in the country. Mind you, I did live only a few yards away from the turnstiles. Gray came off during the win against Derby, this after putting them under enough pressure to give away two penalties. He was replaced by Rouwen Hennings with just over ten minutes of normal time remaining but confirmed afterwards that he was only suffering from cramp. He’ll therefore be fit for this one but there is a doubt about Dean Marney, who came on late in the game. He’s struggling again with the calm injury that has hampered his return from the cruciate ligament injury. It’s touch and go whether he’ll make it. Paul Robinson has arrived in good time. He’s come because of the injury to Matt Gilks. Danijel Nizic has been on the bench for the last two games but he’s unavailable having played for Crewe in an earlier round whilst on loan. Sean Dyche has said that there will be changes, although not wholesale changes, so difficult to ascertain which players may be left out with the Sheffield Wednesday game in mind. We’ll select from: Tom Heaton, Matt Lowton, Michael Keane, Ben Mee, Stephen Ward, George Boyd, Joey Barton, David Jones, Scott Arfield, Sam Vokes, Andre Gray, Paul Robinson, Tendayi Darikwa, Michael Duff, Fredrik Ulvestad, Matt Taylor, Michael Kightly, Rouwen Hennings, Chris Long. I think if you’d told Arsène Wenger back in August that his team would be three points behind Leicester in the Premier League at this stage of the season he would have had some major concerns, but that’s exactly where they find themselves but in third place and considered still to be one of the favourites to take the title. They are behind Manchester City on goal difference with both of them three points adrift of Leicester. That’s how tough our task is tomorrow. They are currently the Premier League’s leading goalscorers and, right now, only Spurs and the boring Manchester United have conceded less. They have some players of real talent. I still believe the performance we saw against us last season from Alexis Sanchez was as good as any individual performance we saw all season and then you’ve just got players of the quality of Mesut Ӧzil and Aaron Ramsey to worry about. Wenger will be without central defender Per Mertesacker. He was sent off last week in the 1-0 home defeat against Chelsea and will serve a one match ban in this game. Jack Wilshere is ruled out with an ankle injury as are both Danny Welbeck and Santi Cazorla with knee injuries. Arsenal have confirmed that David Ospina will play in goal rather than Petr Cech and they have hinted that both Francis Coquelin and Tomas Rosicky will play. They made five changes in the last round so it is very difficult to determine what their team will be, but we can certainly expect it to be a few players different from the team that lost to Chelsea. That team was: Petr Cech, Laurent Koscielny, Hector Bellerin, Nacho Monreal, Per Mertesacker, Aaron Ramsey, Theo Walcott, Joel Campbell, Mesut Ӧzil, Mathieu Flamini, Olivier Giroud. Subs: David Ospina, Calum Chambers, Mohamed Elneny, Alexis Sanchez, Alex Oxlade-Chamberlain, Gabriel, Kieran Gibbs. 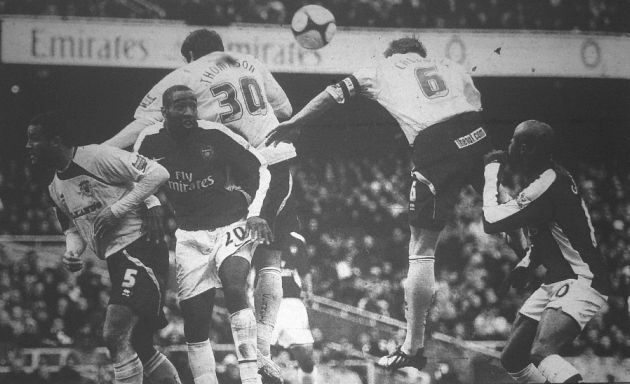 Our last FA Cup tie against Arsenal was in the fifth round in the 2008/09 season. It provided us with our first ever visit to the Emirates Stadium. It had been the most incredible of seasons in the cups with Arsenal’s rivals Spurs finally knocking us out of the Carling (League) Cup and, after beating QPR and West Brom in previous rounds, our interest in the FA Cup also came to an end after we’d reached this stage for the first time in four years. We’d beaten Arsenal in that Carling Cup run but Wenger always plays a stronger team in the FA Cup and only three of those who featured in their Turf Moor were on show this time. We started well and took the game to them but it was Arsenal who gained the lead midway through the first half with a goal from Carlos Vela. It was a superb finish and they got control then for much of the remainder of the first half. Even so, we were close to an equaliser right on half time but they were able to scramble the ball away and we went in a goal behind. The second goal was only six minutes into the second half and it was a stunner. No matter what we might have done in the build up, when Alex Song played the ball into the box for Eduardo who hit a volley with the outside of his right foot. By now we were out of the tie and goal number three came with another excellent finish from Emmanuel Eboue with just six minutes remaining. We were out of the cup, but had more pressing matters for the remainder of the season. Arsenal: Lukasz Fabianski, Bacary Sagna, Johan Djourou, William Gallas, Kieran Gibbs, Emmanuel Eboue, Alex Song, Abou Diaby (Aaron Ramsey 71), Carlos Vela (Robin van Persie 60), Andrey Arshavin, Eduardo (Theo Walcott 71). Subs not used: Manuel Almunia, Gael Clichy, Nicklas Bendtner, Amaury Bischoff. 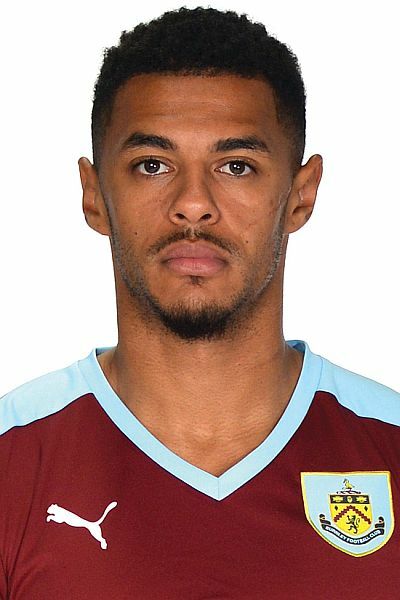 Burnley: Brian Jensen, Graham Alexander, Clarke Carlisle, Steven Caldwell, Christian Kalvenes, Joey Gudjonsson (Steven Thompson 58), Chris Eagles (Wade Elliott 54), Kevin McDonald (Alex MacDonald 75), Chris McCann, Robbie Blake, Martin Paterson. Subs not used: Diego Penny, Stephen Jordan, Alan Mahon, Jay Rodriguez.